Kentucky Whittaker Creations: Just checking in! Hi, all - it's Mona here. 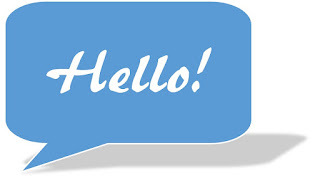 Just wanted to pop in and say hi! Shew - I'm tired from just mentioning all of those! 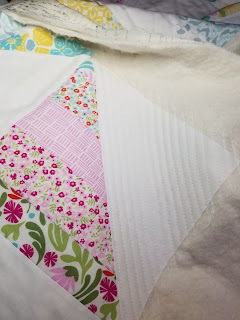 Last week, I did my first "real" quilting (see above). I've quilted some other items, but mainly just did stitch-in-the ditch kind of things. For this quilt, I did straight lines that were approximately 1/2-3/4" apart - on a domestic machine! I swear, quilting should be an Olympic sport!! I felt like I was wrestling! My hope/dream/goal is to have a long-arm one day!!! 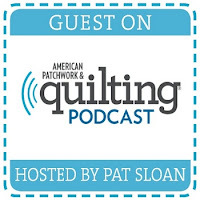 I learned a lot when doing that quilting - I'll share more about that in another post. Oh - I have a couple of giveaways coming up soon, too. I hope everyone is doing well! Leave me a comment below and let me know what you're working on!